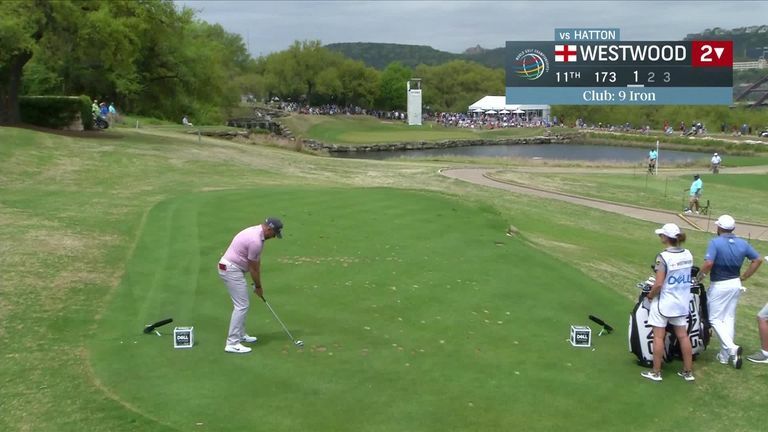 Lee Westwood crashed out of the WGC-Dell Technologies Match Play despite firing a hole-in-one during his final group game in Texas. Westwood finished bottom of Group 9 after failing to win any of his three matches at Austin Country Club, although managed to find a moment of brilliance in his defeat against Tyrrell Hatton on Friday. The veteran found himself two down when he made his way to the par-three 11th, where Westwood attacked the flag with a nine-iron from 173-yards. Westwood's tee shot finished 10 feet short of the flag and took a couple of short bounces before trickling into the centre of the cup for a timely ace. Although the hole-in-one from Westwood closed the deficit to one, Hatton went on to win the contest 3&1 and secure his spot in the knockout stages. Click on the video above to see Westwood's wonderful ace!